Did you know that we include a free copy of NewBlueFX Live Titling software with every copy of Wirecast 8? This means you can now easily interact with your audience, read Facebook comments and push them to your live stream! This is possible because NewBlueFX created over 60 unique titles and templates (that can be modified to fit your live broadcast) just for our Wirecast users! These new templates allow you to stream beautiful 3D animated titles and graphics all while animating them on or off the screen. 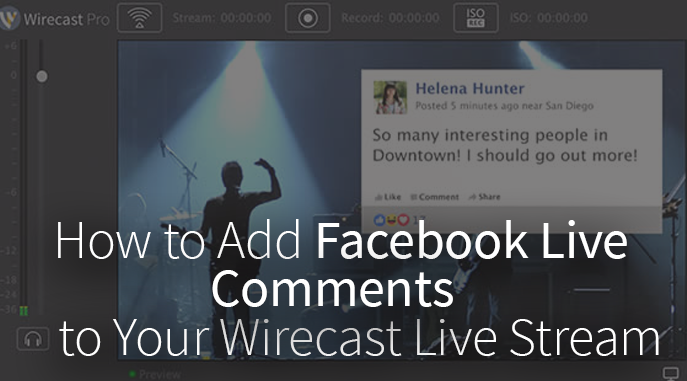 Quickly publish Facebook comments directly to your live stream to maximize and encourage audience engagement. 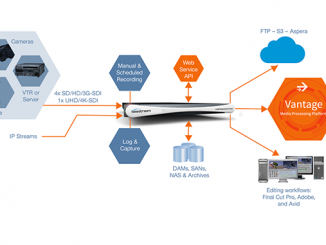 Download and install NewBlue Titler Live Present (Included in Wirecast 8 Studio) or NewBlue Titler Live Express (Included in Wirecast 8 Pro) and open Wirecast 8. Click on the desired layer and select Titler Live as a source in the dropdown menu. Next, setup the template, title, or graphic that you want your Facebook Live comments to be displayed on during your live stream. Open Facebook and go to your live stream. Select the URL from the stream by right-clicking on the video and clicking Show Video URL and copy. Go to the NewBlueFX Titler Live control box in Wirecast and copy the video URL into the left-hand corner. Press the Get Comments button for your Facebook Live comments to populate in the NewBlueFX Titler Live control box. Search the comments and curate the ones you want to broadcast on your screen. To send a comment live, click on the comment and wait for the white arrow to turn green, once the arrow is green the comment has rendered and is ready to go live. Press the Go button to make the comment(s) go live. NewBlueFX also allows you to filter or search using keywords and hashtags. And if you upgrade to NewBlueFX Titler Live Complete or to Titler Live Social you’ll have the ability to add YouTube and Twitter alongside your Facebook comments. Congratulations on adding NewBlueFX titles, templates and facebook live comments to your live stream! Be sure to tell us how it went it the comments and tag us in your live broadcasts! We love to see the awesome content our Wirecast users create. Wirecast 8 is available in our store now! And our wonderful customers who have previously purchased Wirecast, you can upgrade for a discounted price! 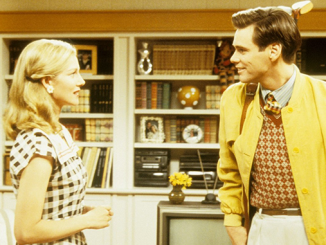 Public or Private – Where’s the Line? I have tried to use the social comments and polls but something is wrong and I am not able to insert the comments. I can’t find any tutorials or any educational material. Another thing is that it is only connecting with my personal account rather than my facebook page and this is quite frustrating. I really love the ability to push in comments from Facebook while I am streaming live, but can’t figure out how to have them ALL post without me having to load them, wait for it to turn green and then post them. That’s pretty distracting given how fast they roll in. I can get the Facebook comments to load from a public page that I am a member of but it is not including the names or profile pictures of the people commenting. It is just anonymous comments. I am trying to log in as a different profile but there doesn’t seem to be a way to make it forget my login. I tell it to clear the login and I try to login and it just automatically logs into the first account I set up. This is not very intuitive. Recently got a chance to try Wirecast GO with my Youtube Channel. I am amazed with the quality of the video i got to see after the Shows over. You guys are the best and i am hoping, you will do some more feature additions to Wirecast Go as well. I am getting my Wirecast Pro software this holiday season. So excited for my next Live Event.